Eating a plant-based diet could lower the risk of needing treatment for heart failure, a new study finds. Researchers say that consuming a diet heavy in fruits, vegetables, beans and fish lowered the risk of being hospitalized with heart failure by up to 41 percent. A Southern diet – rich in fried food and processed meats – raised the risk as high as 72 percent. The team, led by the Mayo Clinic in Rochester, Minnesota, says the findings show the important of heart failure prevention, a condition that is difficult to treat and requires costly healthcare. Heart failure occurs when the heart is unable to pump enough blood and oxygen throughout the body. More than 5.7 million US adults suffer from heart failure and that number is expected to only rise, according to the Centers for Disease Control and Prevention (CDC). Approximately half of all people who develop heart failure die within five years of being diagnosed. The CDC says heart failure costs the US an estimated $30.7 billion each year. Prevention strategies currently include quitting smoking, lowering high blood pressure and eating a healthy diet. For the study, published in the Journal of the American College of Cardiology, the team looked at more than 16,600 adults aged 45 and older from the REGARDS study. REGARDS examines the geographic and racial differences that cause some populations to suffer more strokes than others. Researchers followed up for about nine years and found there were nearly 400 heart failure hospitalizations over the study period. They saw those who most adhered to the plant-based diet had a 41 percent lower risk of being hospitalized with heart failure than those who least adhered to it. Participants who most followed the Southern diet raised their risk of being hospitalized with heart failure by 72 percent. Among the remaining three diets, there was no statistically significant link between any of them and the risk of heart failure. ‘The need for population based preventive strategies for heart failure is critical,’ said lead author Dr Kyla Lara, a cardiology fellow at the Mayo Clinic. In a related editorial, Dr Dong Wang, a research fellow at the Harvard TH Chan School of Public Health, said heart failure prevention is important because it is difficult to treat and the cost of care is high. 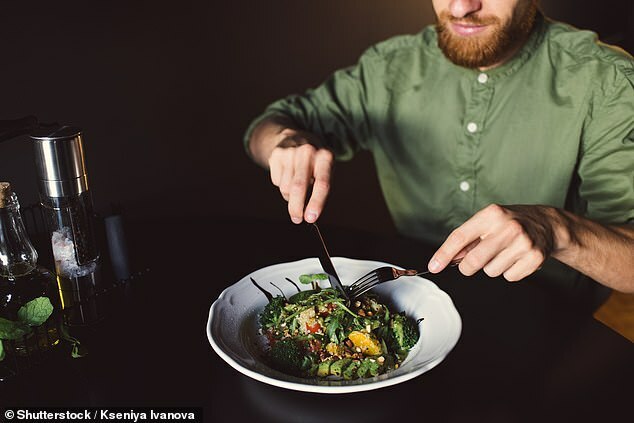 ‘This study represents an important step forward in establishing a robust evidence base for the dietary prevention of heart failure,’ he said.